We are starting the third week of BM#64.The theme for this week was to pick one European cuisine and make three different courses from the same. I picked up Bulgaria. Bulgaria is a Balkan nation and its cuisine has Greek, Slavic, Ottoman and Persian influences. While I remember reading about this country during childhood. Especially in some of the Tintin books, the portrayal of Syldavians appear to have a similarity to Bulgarian, their food habits etc. Apart from this remote memory I have no idea about the cuisine. So I took a virtual tour, my prerequisite was, of course, vegetarian options in their baked dishes as I wanted to bake something. Surprisingly their Tarator impressed me much and I felt I could easily make it. healthy and very low calorie. 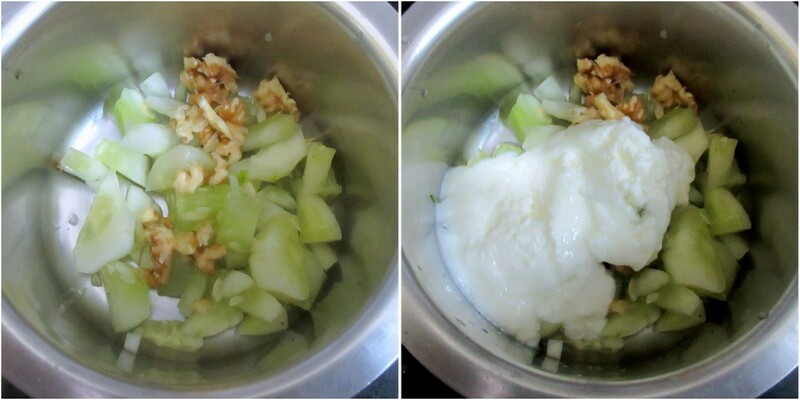 Prep the cucumber, peel and finely chop, press the garlic, crush the walnuts and chop the herb. Once you are ready, it’s time to assemble. In a large bowl, dilute the curds, add all the ingredients. Add salt to taste and combine everything well. Store in the fridge to cool for half an hour. 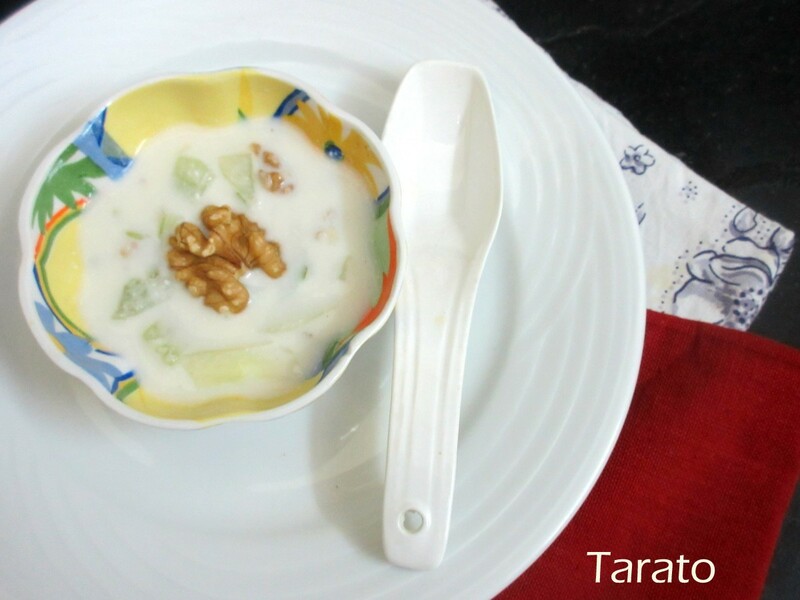 The writer says we can serve the Tarator in soup bowls or we can serve Tarator in large glasses “on the rocks”, which will be a very refreshing and appetizing way to start a meal on a hot summer’s day. A very refreshing cold soup to beat the summer heat. We loved it when I tried this recipe. This is the perfect drink for the scorching heat.. Interesting soup with amazing ingredients . Sounds soothing . An interesting cold soup and a refreshing summer drink. Excellent summer friendly soup, very easy and interesting. 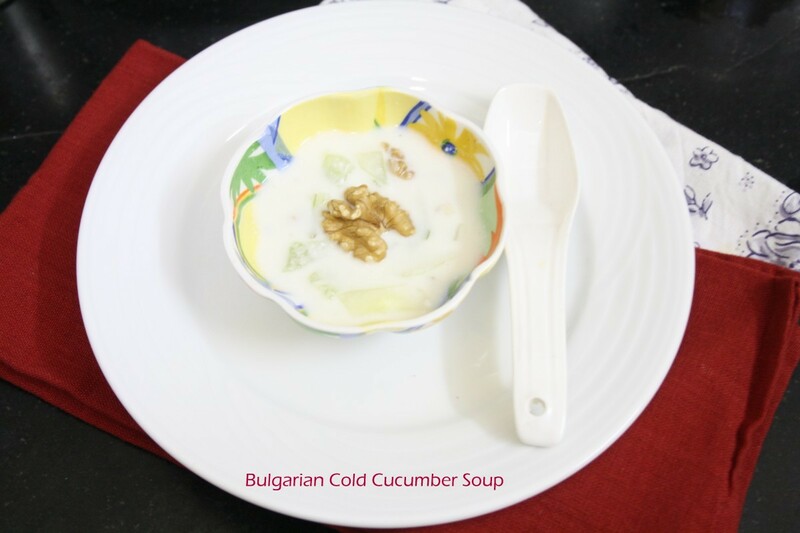 Bulgarian cuisine is new to me and this cucumber soup sounds very refreshing and delicious. This cold soup is so perfect for the summer meals. Love the recipe. This cold soup is perfect for the hot summer days.